South Korea Football Fans | Go Park Ji Sung! FIFA president Gianni Infantino caused a stir in the football world this week when he revealed that North Korea and South Korea were considering tabling a joint bid for the 2023 Women’s World Cup. North Korea and South Korea are still technically at war with each other as the conflict in the early 50s ended in an Armistice rather than a peace treaty. However, in recent years, both nations have utilized sports to foster good relations and this has brought the hope of reconciliation between the two nations. In 2018 both nations fielded a combined women’s hockey team in what was seen as a symbolic moment across the world. Park Ji-sung, the South Korean football icon has offered on resigning from the post of this national football governing organization. He has decided on stepping down from the position of department chief of the youth strategy of Korea Football Associations. The football body is presently mulling over the offer of resignation as per the statement of KFA officials. Park Ji-sung, the former Manchester United star midfielder had taken over the post on 2017. It had been the first time that he was placed in the KFA’s official position. He promised to develop the youth football of South Korea with the help of his abundant experience that he had in Europe. South Korea international Heung-min Son is eager to contributed towards Tottenham Hotspur’s season now that he has returned from Asian games duty with the national team. The attacker helped his country claim their second straight title at the games in Indonesia and this ensured that he skipped the mandatory military services which he would have otherwise had to perform. The South Korea Football Federation has received a donation of $3.5 million from the CEO of Hyundai Chung Mong-Gyu in order to sign a quality head coach. Indeed the South Korean team has failed to reach the knock-out stage of the recent World Cup in Russia and Chung Mong-Gyu believes that the money might help the Federation sign a foreign coach that will help bring the national team forward. The South Korean football team is on the lookout for a new head coach for the men’s football team. The team has gone through an early exit at the FIFA World Cup this year. The Korea Football Association confirmed last week that Kim Pan-gon, the leader of the national team coach committee has come back from a trip to negotiating with international tacticians for the football teach coach job. The KFA, however, wishes to be mum on the chosen destinations and coaches he has got in touch with. Shin Tae-Yong is one of the candidates on their list. The contract of Shin with KFA would be expired by the end of this month. If he is chosen again, the 47-year-old would sign a fresh contract and preserve his seat. Tottenham Hotspur forward Son Heung-min has reportedly expressed his eagerness to represent South Korea at the Asian games this year in order to bypass the country’s military service.All able-bodied South Korean males have to compulsorily serve the military for a period of 21 months but they can get an exemption from this by winning a gold medal at either the Olympic or the Asian games. South Korea international Son Heung-Min expressed his disappointment after Tottenham Hotspur were knocked out of this season’s Champions League. The north London club had been in a solid position to qualify for the quarter-final stage after they put in a solid performance in the first-leg of their round of 16 tie at Juventus – which ended in a 2-2 draw. Son enhanced the club’s chances further by netting the opener during the second-leg, but this was not sufficient as Juventus came from behind to pick up a 2-1 victory. The triumph ensured that the Bianconeri progressed with a 4-3 aggregate scoreline, and Son has admitted that there is a sense of unhappiness within the squad. BBC Pundit Garth Crooks has spoken positively about the impact of Heung-min Son has had at Tottenham Hotspur this term. 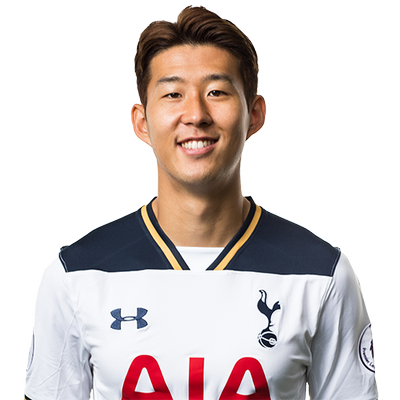 The South Korea international has been a regular in the Spurs setup in the 4-2-3-1 formation, and he is presently on 11 goals for the club across all competitions. Writing on his BBC Sport column, Crooks highlighted the tireless workrate of the Korean footballer, who has developed leaps and bounds, working with the likes of Harry Kane, Dele Alli and Christian Eriksen in the attack, he said: "The South Korean is renowned for his energy and covers the ground with enormous alacrity. North and South Korea eased the age-long tension between them at the Olympic Village. The North sent a powerful delegation of 46 people to Pyeongchang County, which is in Gangwon Province in the South. 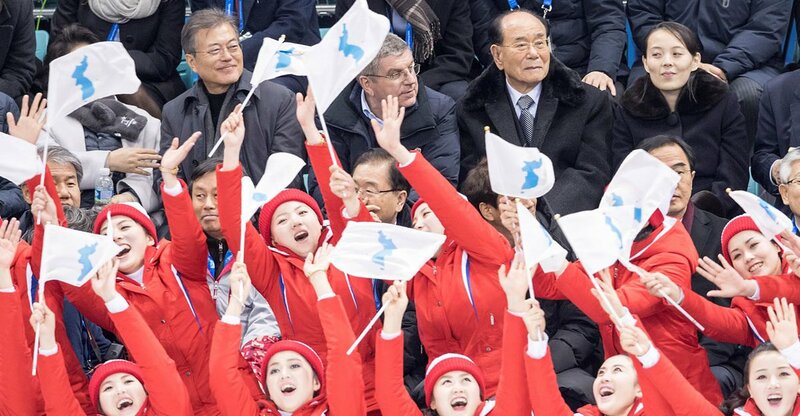 The North Korean delegation had 22 athletes for the Olympic games and the national flag of North Korea was raised at the Olympic Village in Gangneung on Thursday. The North’s anthem was also played – something is banned on a normal occasion. Former Manchester United legend turned pundit, Roy Keane does not believe Heung-min Son deserves a prominent role despite showing promise from the starting line-up. The South Korea international has played a decisive role for Spurs this season, but Keane believes the forward is just a 'good little player'. Speaking in ITV's coverage of the Champions League, Keane said: "He’s a good little player. I don’t think he’d be one of your main guys, but certainly as a backup to the other attacking players."